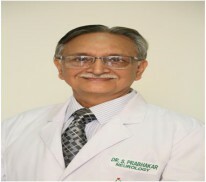 Dr. Sudesh Prabhakar, MBBS, MD (Medicine), DM (Neurology), having copious experience of 43 years in the field of neurosciences, is the Director of Neurology department at Fortis Hospital, Mohali. Prior to that, he had served prestigious PGIMER, Chandigarh for 42 years. Dr. Prabhakar is an alumnus of MDU, Rohtak, where he completed his basic medical studies and then he attained his MD(Medicine) & DM(Neurology) from the renowned medical institute, Post Graduate Institute of Medical Education & Research, Chandigarh. Dr. Sudesh Prabhakar has rich experience in the management of strokes, headache, epilepsy, Parkinson's disease and Dementia. His field of research includes Stem cell treatment in MND, Treatment of Dementia, and diagnosis of Duchenne Muscular Dystrophy. To his credits he has contributed 146 National Intended Journals, out of which he has presented 68 journals in various conferences. Apart from this, he has contributed around 48 international journals & 28 chapters in books related to the neurosciences. Member of - International Stroke Society & World Federation of Neurology. Treasurer - Indian Academy of Neurology (1992-2000); Faculty Association, P.G.I.M.E.R., Chandigarh (1994-1995); International Conference on Organisation and Delivery of Neurological Services.,New Delhi, 1994.